I spent my last Sunday in major self-indulgence at, The Four Fountains Spa, Malad W, Mumbai..
All I can say now is,'A day spent at spa, is a day spent well'. I have always claimed to be a no spa person, the idea of going to a spa to destress was alien to me, but all this changed last Sunday. City life is monotonous, gives you no time for yourself, I also happen to suffer from the same problem. But I guess I have a solution now.. and my solution is just a spa appointment away. 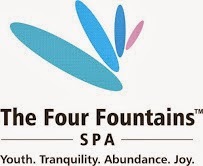 Lovely people at, The Four Fountains Spa not just helped me chose the right massage, but customized it according to my problem areas and requirements. I went for the beauty massage with Swedish pressure and a much needed head massage, followed by hot shower and a cup of green tea.. Bliss! My Experience: I was asked to fill a questionnaire prior to my therapy which helps in deciding the therapy better. I have medium to high stress level and my concern was skin tanning, so my therapy was customized on the same basis. I took a combination of beauty massage( for my skin concern and tanning) with Swedish pressure( for my stress and lower-back issues) and a head massage( for hair-fall problem and stress). Masseur can increase or decrease massage pressure according to one's requirement and problem areas. After the massage you can chose to either to relax a bit or go for a steam bath, but no steam room was available the time I went, but I definitely want to take steam later sometime. Tiny shower room, attached inside the therapy room, has all that you need; Things like towels, slippers, bath-robes, their in-house shower gel and shampoo. The Four Fountains Spa is India's first chain of affordable health spas. Set up by 3 management graduates from IIM Ahmedabad and SP Jain Institute of Management & Research, it aims to bring the health benefits of spa therapies within everyone's reach, with their wide range of therapies and oils to chose from. Locations: Mumbai, Delhi, Gurgoan, Bangaluru, Goa, Pune, Kolkatta. My Verdict: I am definitely going back again, and yes, I recommend this to my readers. Good- Affordable, Quality, serene ambiance , excellent service. Not so Good: I wish they had more steam rooms. Now let me exaggerate( hehe..) My degree in Fashion gives me leverage to be a little critical ( obviously in a constructive way). 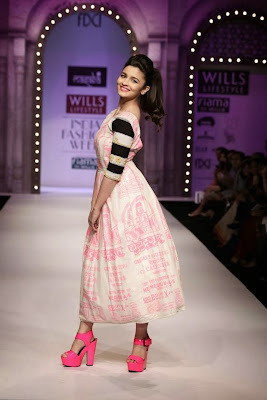 I think that length of the dress is too long for Alia, it should have been till her calf, with the kind of footwear she is wearing, it's clearly looking odd. Aesthetics of the whole look goes for a toss if these things aren't given attention, specially for a show as grand as this one. Fitting too seems to be an issue here( refer to the pic where Alia turns on the ramp), I cannot ignore bulge on the back.Also, Backstage crew could have used a bit of steam ironing on hemline of the dress. All of that together is clearly making this a MAJOR Fashion Faux Pa.
Our favorite Gen Next Star designer is clearly obsessed with Dots, black and white stripes( make a note of that, Monochrome is still a Hot Trend ), Summary hues of Pinks and blues, Interesting Avant Garde bags are a few Spring Summer'14 Trends you can pick from Masaba Gupta's latest Spring Summer'14 Collection, showcased at the WIFW SS'14. Burst of Color..POP!! 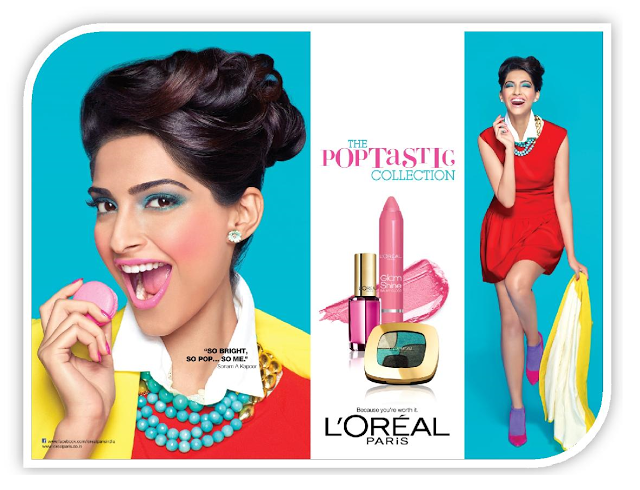 Exactly, L’Oréal Paris India's latest, 'Poptastic' collection is for you, if you love pop colored macrons and marshmallows coated with sugar dust. Yes! it's all a 'Girly' girl and that lady with a french bun can ask for; Very international high-fashion, a color-palette designed keeping in mind the current fashion trends. All you fashionistas cannot give this a miss! Dominated with Blues and Pinks, this range offers lip balms, nail varnish, eye-shadows and nail stickers..
Street Style series is an attempt to capture all the fashion forward, well dressed people I see around me and document their unique style in this space, so that it becomes an archive of never ending inspiration for me and for other like minded people. Today on the blog we have, Bhawna Yadav of fashion and style blog- M.U.S.E , my bff, soul sister and a contact on my speed dial. Few weeks ago, after an event, she asked me to click her for her blog, but I had another idea in my head. Yes, I decided to feature few of her here and I am sure, she'll love this surprise! 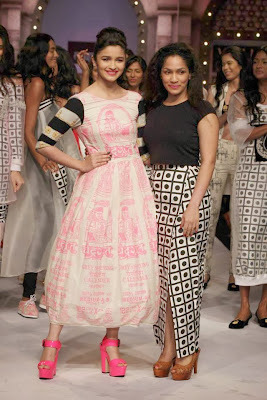 I have always admired Bhawna for her understated and classic style. 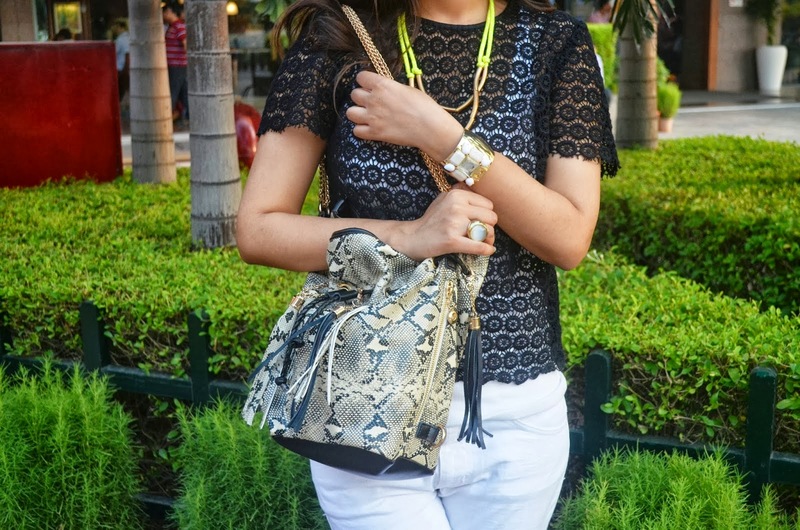 When Bhawna had to style her look for a bloggers event in Delhi, she went ahead with the biggest fashion trend of the year, Monochrome and added a pop of Neon with her necklace. I personally love the Monochrome tassel bag and Neon statement necklace from her look. As always.. she looks effortlessly Chic and Gorgeous..
With this post, I officially start the 'Street-Style' fashion series on the Blog and I couldn't think of a better MUSE and inspiration to start with. I came across this old picture of Cosmopolitan India's Editor, Nandini Bhalla, taken at the last WIFW and couldn't resist sharing with you guys. Now, who wouldn't fall in love with this lady in quirky sari? 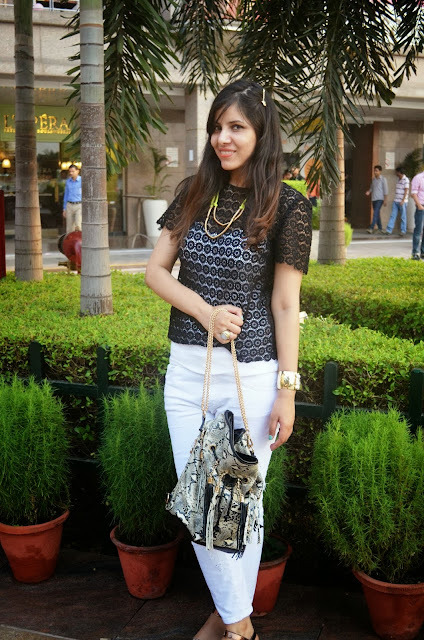 The whole look is a perfect paradigm of Indian Street Style. Fun, Quirky, Desi yet Chic. Love the way she has styled this Anupama Dayal sari, keeping the look minimalist, to let the nautical stripes sari stand out. Now, that's how you have fun with Fashion.. This look has triggered my fashion buds and I am totally inspired to create a similar look.